Los Angeles (October 30, 2018) – “Bohemian Rhapsody” is the presales champion of this year’s movie musicals to date, outpacing both Bradley Cooper’s “A Star is Born” and “Mamma Mia: Here We Go Again” at the same point in the Fandango sales cycle. 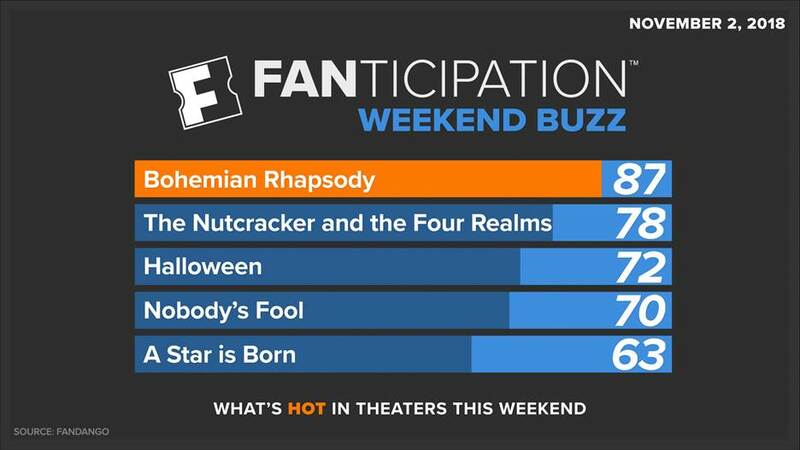 “Bohemian” is scoring 87 out of 100 points on Fandango’s movie buzz index, Fanticipation. Tags: Fandango, Fanticipation, Erik Davis, "Bohemian Rhapsody"